represents injured people when they are most vulnerable. They are hurt, they are out of work, they are worried about their future and their finances, and often they are not being treated fairly by insurance companies. For over thirty years, Kathy O’Donnell has represented injured people both in and out of the courtroom. O’Donnell Law Firm provides its clients with the help they need. If you have been injured on the job, at a construction site, at a medical facility, or in an automobile collision, the lawyers at O’Donnell Law Firm will help you. Kathy O’Donnell has been named a Super Lawyer, in the area of personal injury law, by Boston Magazine every year since 2004. Her colleagues recognize Attorney O’Donnell as a top trial lawyer in Massachusetts. 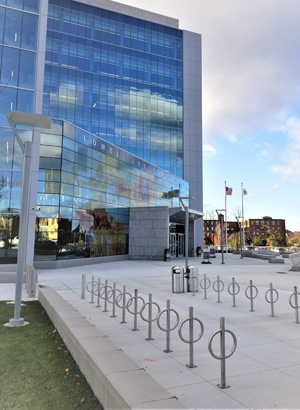 The Supreme Judicial Court, the highest court in Massachusetts, appointed Attorney O’Donnell to serve on Committees in the past. Currently, she is a member of the Commission on Judicial Conduct. Attorney O’Donnell is Past President of both the State Trial Lawyers and the State Bar Association. When you call the O'Donnell Law Firm you will speak with an experienced lawyer who will answer all of your questions. We are accessible, approachable, and we look forward to speaking with you.